What does a mall, a contractor and a meatball distributor have in common? Dream different. Photo: Jessica Kourkounis for The New York Times. For these three New Jersey businesses, what they have in common is a very common name: American Dream. The New York Times reports today that 107 New Jersey businesses share this most generically aspirational of American names, or variations thereof. 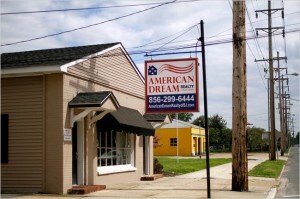 I just did a quick search of the USPTO and found 424 living and dead trademarks for the exact phrase, “American Dream.” Here’s some free advice to any company considering the name “American Dream” for their business: don’t. For any naming project, its important to do your research and know what the competitive landscape, so you don’t end up with the futile task of trying to peddle your “unique” products or services under the banner of a name that is anything but unique. In other words, don’t be an accidental hypocrite.